The latest model in the Archive Project needs a slow turning shaft onto which I can fix some cams. There is limited space under the model so I looked for a reduction gear that was compact. 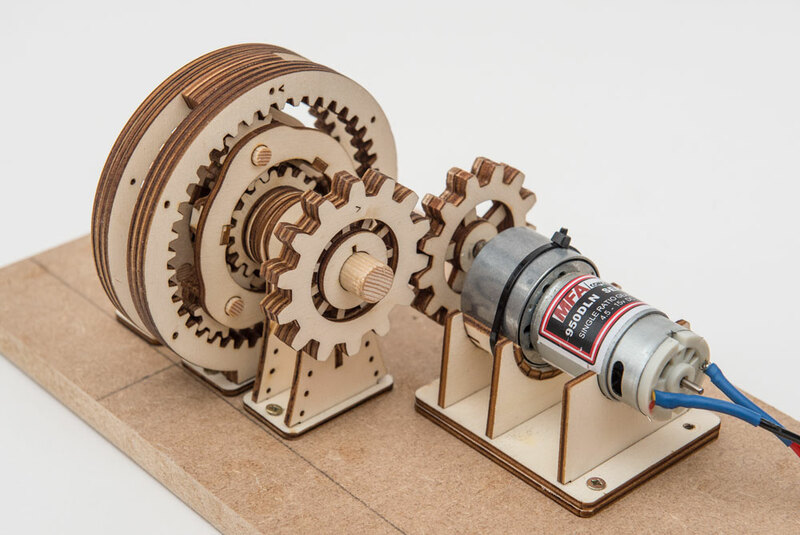 This planetary reduction gear seems to fit the bill nicely! On the input side the motor turns at around one hundred rpm. The output is roughly eleven rpm. One tune every five and a half seconds. 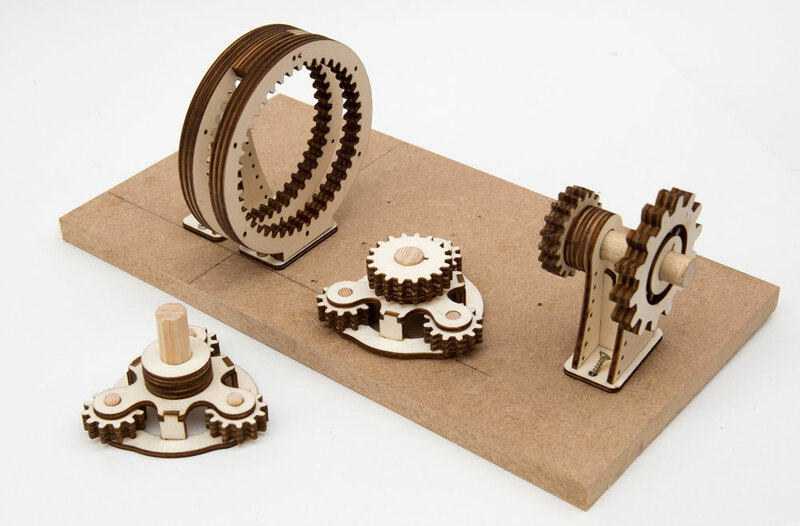 There are two stages to the gear box, each reduces the speed by a third. 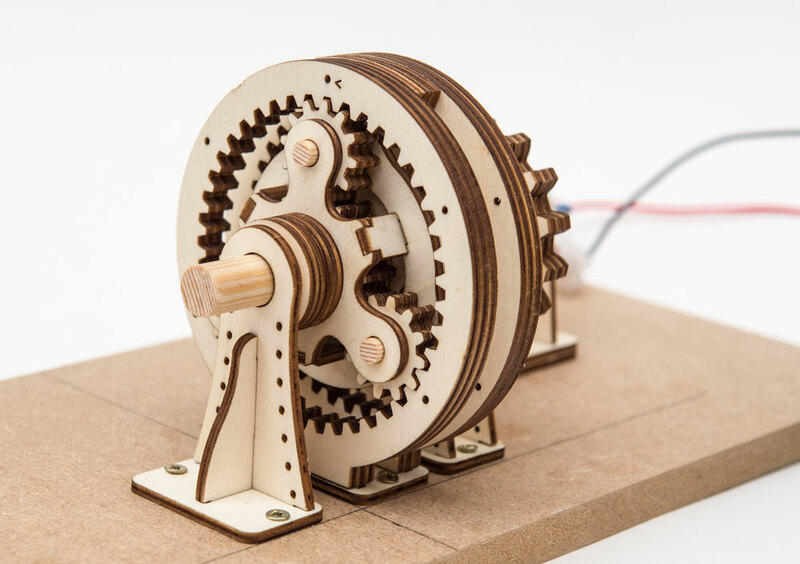 One of the two planetary gears. Exploded view. 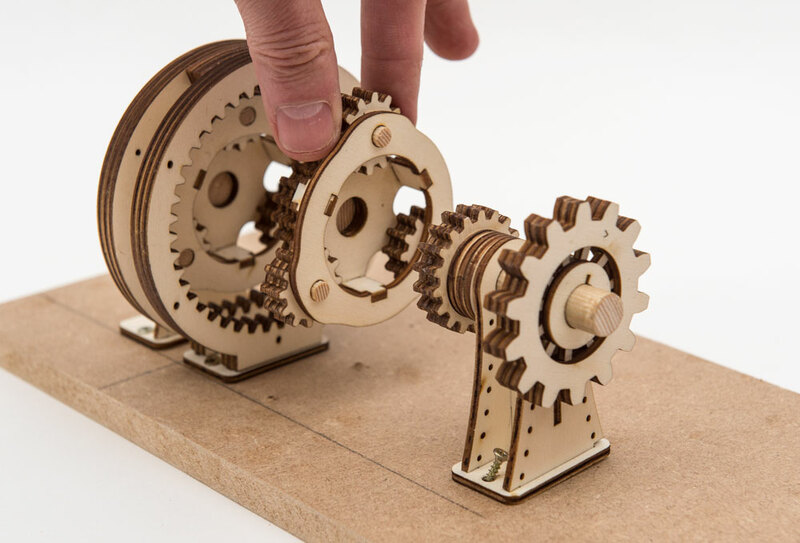 The parts are made from 3mm laser cut plywood. 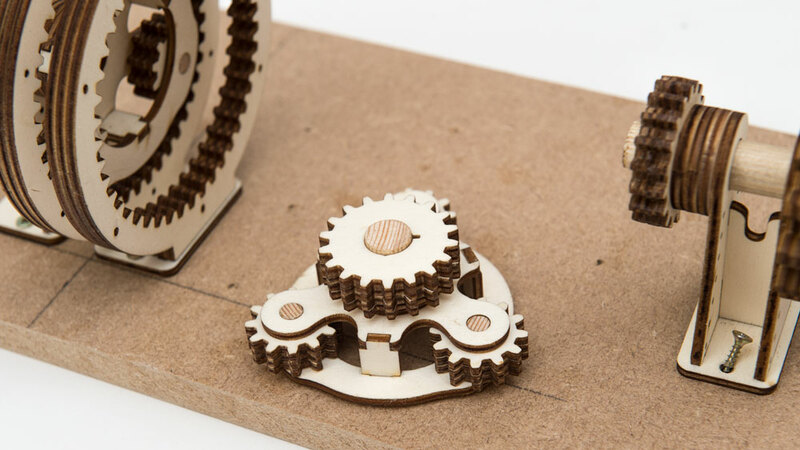 The gears are made from three identical layers bonded together. Hi, it´s very nice. 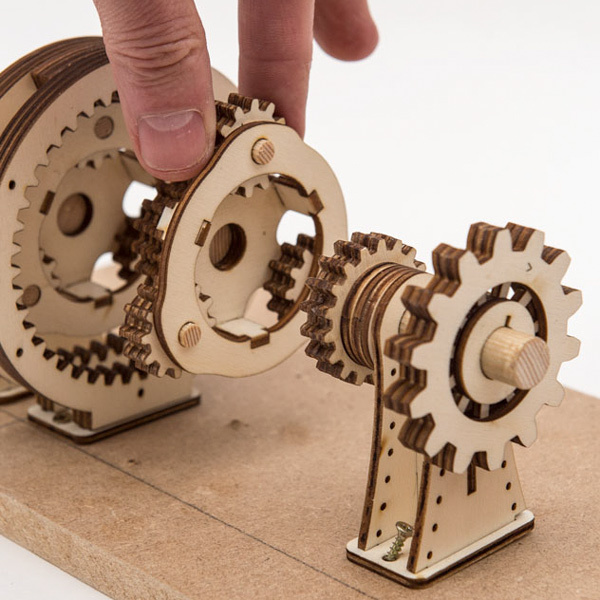 What software did you use for the gears?